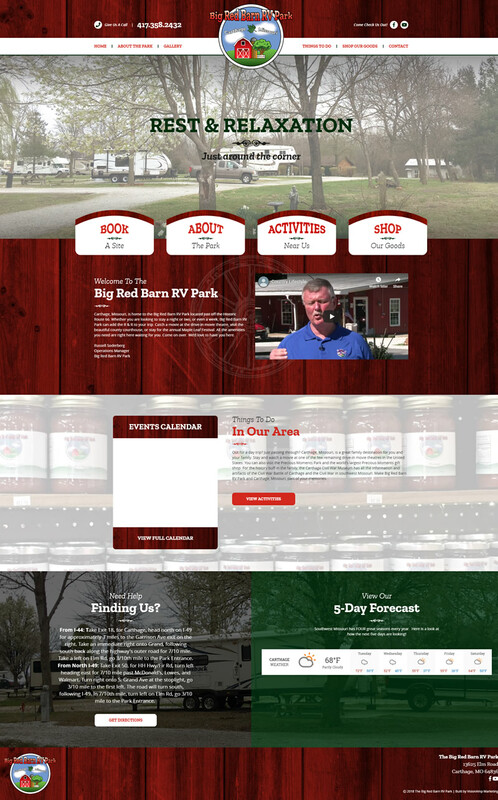 The new site we built for Big Red Barn RV park has been a game changer. We did a complete reorganization of the information, brought the navigation bar up to the top of the page and added a custom e-commerce page to boost business. Make sure to check out their homemade jam! 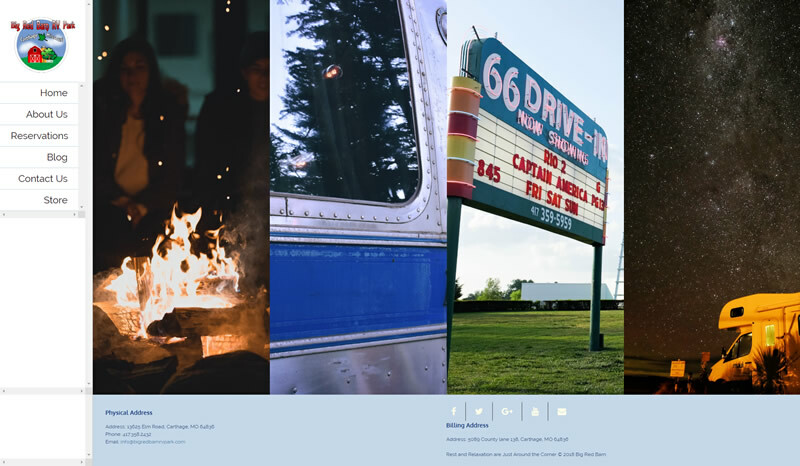 In addition to all of that, we added more imagery and a video to make the site more visual and interactive. You can also get the forecast for the weekend with the custom module we added. Big Red Barn RV Park is the ultimate park for you and your family to stay at. Every detail has been thought out and designed specifically for traveler's needs. They boast a beautiful country setting, an abundance of wild life, with a peaceful, quiet and serene atmosphere. Shopping is close by, along with a wonderful selection of local restaurants in Carthage, MO.